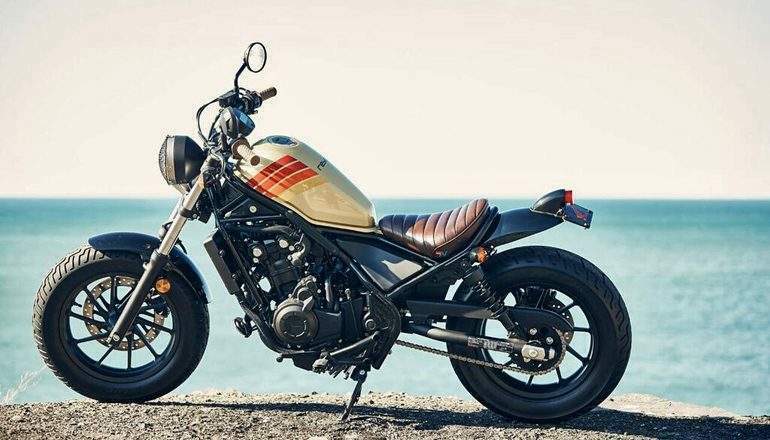 The Honda Rebel has gotten a complete refresh for 2017, both inside and out. 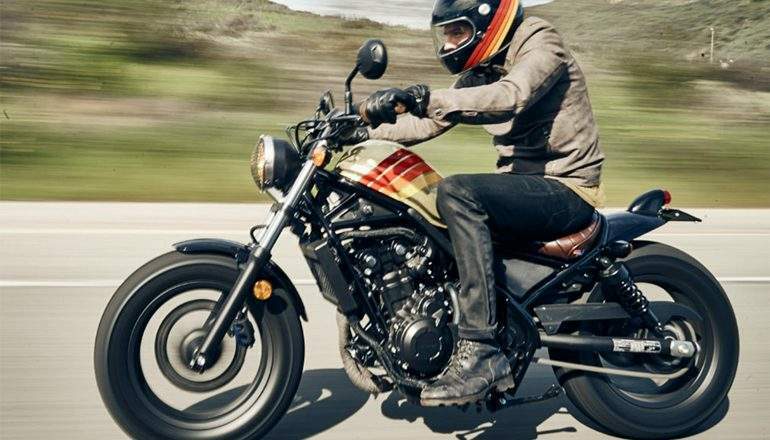 It's a modern motorcycle with a classic and minimalist attitude, but when it comes to performance, these bikes are anything but understated. 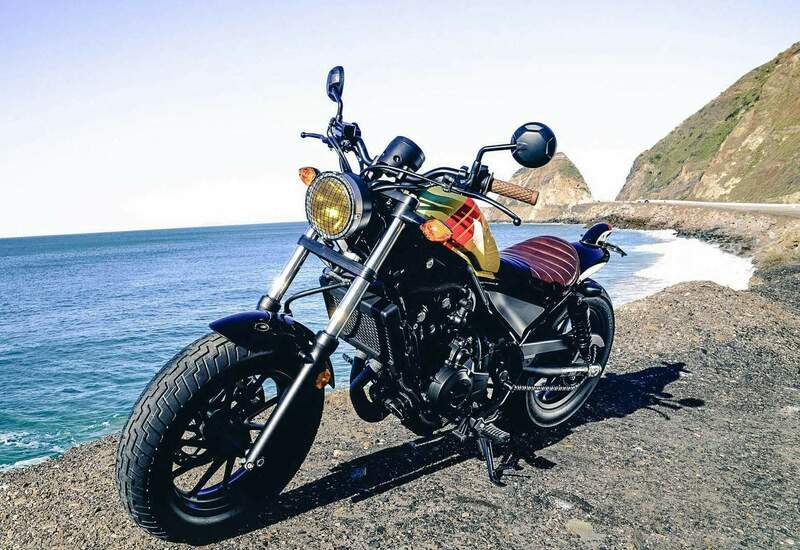 Both the 300s and 500s are built for cruising up the coast to chase the perfect swell or winding through traffic on the way to a great hiking spot. 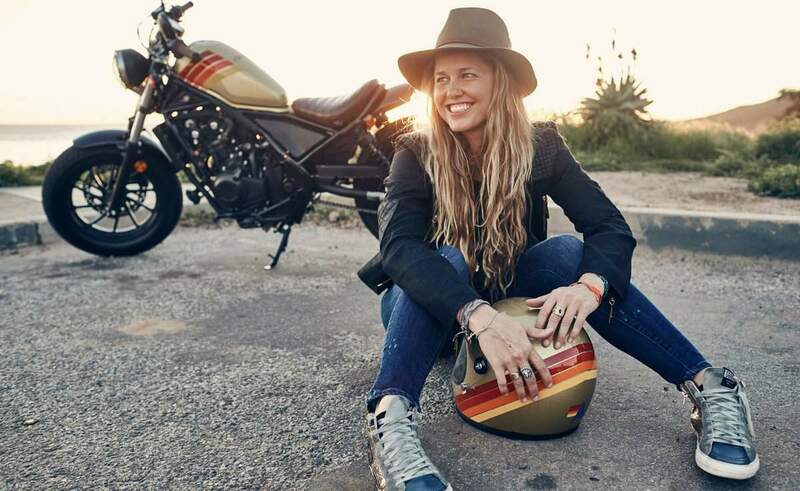 When Aviator Nation founder Paige Mycoskie lent the inimitable 1970s vibe of her beloved California lifestyle brand to create the Honda Rebel + Aviator Nation edition, the result was the perfect collaboration for the adventurous spirit wanting to get out and explore. The hand-stitched brown leather seat with the embroidered Aviator Nation signature logo is a retro contrast to the black, glossy fenders of the bike. Then, there’s the gas tank’s gold shimmer reminding of vintage sparkle drum sets and guitars, also being finished off in Aviator Nation’s signature 4 stripes painted in its recognizable colors. To complete the retro look, brown leather grips, round rear view mirrors, minimalist tail light, and caged headlight were added to the small cruiser.